Gluten Free Philly: Viva L'Italia! 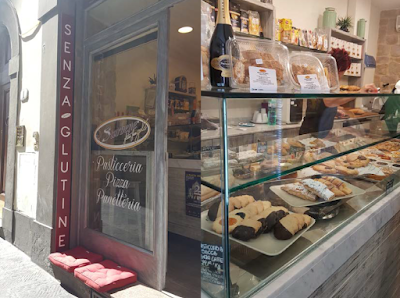 Today's post is written by guest blogger Heather Stern, a longtime celiac advocate and volunteer, who shares her gluten-free finds from her recent trip to Italy. 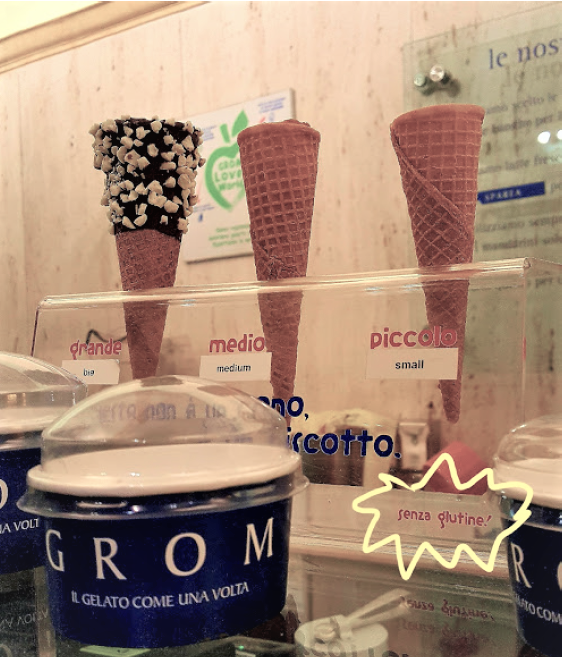 Imagine for a moment starting everyday with an espresso and gluten-free pastry, spending afternoons eating pizza and gelato, and finding restaurants around every corner where the staff knows exactly what you mean when you ask for gluten-free pasta (or senza glutine/sono celiaco). This paradiso exists. This is Italy. 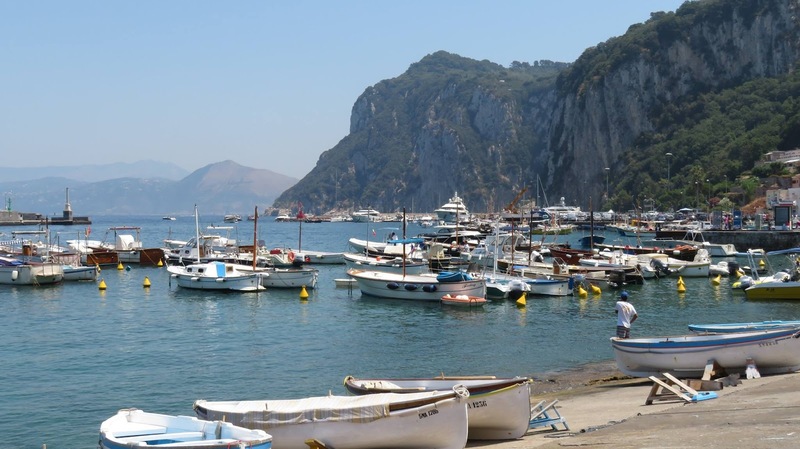 I originally planned the timing of my trip around one of Jovial Foods’ gluten-free Italian cooking getaways, but quickly found that most of their pricing was not very flexible for a solo traveler. So instead, I created a list of ideas (based on blogs, articles and history lessons over the years) and hoped that my instincts and smart phone would culminate into one great adventure. Day 1: I started in Rome, where I stayed at an Airbnb around the corner from the Pantheon (and 10 glorious steps away from the gluten-free bakery/shop Pandali). This shop quickly became a part of my daily routine where I attempted to try every item they offered. My “Welcome to Rome” twilight tour to managed to keep the jetlag at bay, especially with the stop at Della Palma, a gluten-free-friendly gelateria. For dinner we found a charming restaurant named Pantharei that offered gluten-free pizza and pasta options from their little alley-way nook. Day 2: I began the day with a tour of Cinque Terre where the friendly staff were not so well versed in gluten free options; luckily, trains in Italy actually carry gluten-free snacks and I found (through the magic of Google) a delicious veggie and pesto sandwich snack from Lunch Box in Vernazza and a few sweet treats from Wonderland Bakery in the town of Monterroso. For dinner we tried Voglia di Pizza – a shop that markets to the gluten-free crowd. The best I can say is that if you are seeking American-style Italian food, this may be a good option. Compared to the incredible meals I had over the course of the week, however, I'd explore other options. Day 3: I spent the morning at St. Peter's Basilica and the area around the Vatican, then exploring the Great Synagogue in the afternoon. Getting advance skip-the-line tickets for the Vatican are a must; the lines are crazy and tour slots fill up weeks ahead of time. I had read that Mama Eat had a location not far from there and, given that it was national donut day, it was a perfect match. 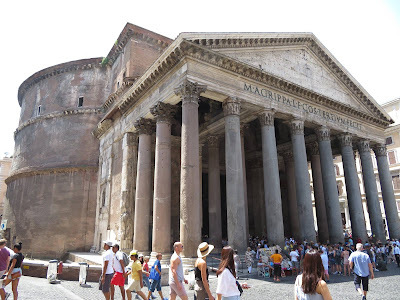 That night we had reservations for Roscioli, which I hadn’t found featured on any gluten-free blogs but was highly recommended by my Rome aficionado friend - and I quickly found out why. They describe themselves as “a multi-functional deli, unconventional restaurant” with a “rich and varied wine bar” and they truly do all of it well. The burrata was amazing and I loved the wine. While my gluten-free bread basket was not quite as exciting as the regular one, the fact that they even had one made me cheer. Day 4: I spent the morning at the Colosseum. which took up most of my morning to work through the lines and exhibits inside. 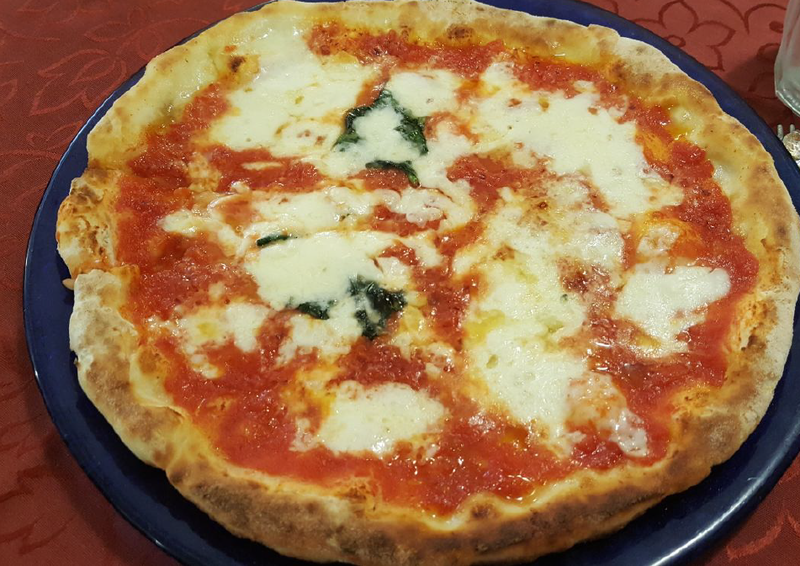 I took a break from the heat later that afternoon at a pizza place down the street called Forno da Milvio. This was the only other occasion when I felt I had found something that could’ve just as easily been made in the States. That afternoon, we participated in a cooking class at Ristorante Il Viaggio, and while the ristorante was little off the beaten path, the class was one of the highlights of my time in Rome. We were the only two in the back of a small kitchen. 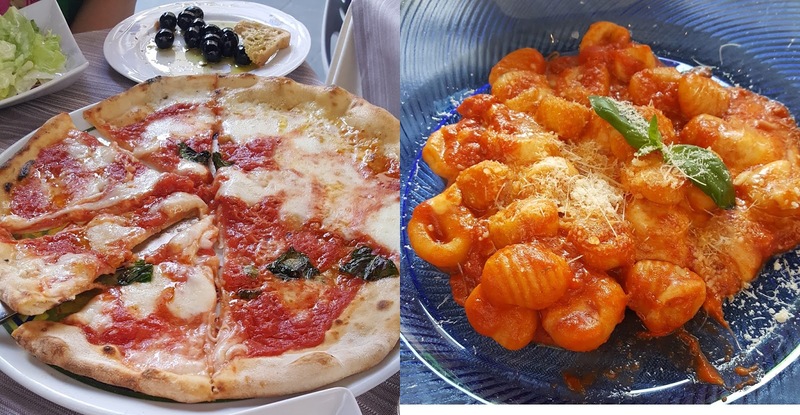 The food and advice were amazing - hands down the best gluten free pasta of my life, along with soft and crusty homemade bread and a deliciously light pound cake. We learned about Nutri brand flour which was used to create all of the dishes we made that evening. Unfortunately, it's not sold in America. Day 6: I took a ferry from Naples to Capri for a day trip but, given the heavy tourist crowds, decided against the long tour lines and instead wandered the winding roads. My treat of the day was a caprese torte at Hotel La Palma. That night, I decided to utilize my hotel credit with a light bite at my Naples hotel (though I was still daydreaming about the pizza) and enjoyed grilled salmon with caprese salad. Overall the hotel staff did a great job with the gluten free options for both dinner and breakfast. Day 7: I traveled up to Florence next, marveling at how easy the Italian train system is to use. One word of advice: the kiosks at the station mostly require credit cards that have pin numbers, so you’ll need to buy tickets online or at the window if you don’t have one. As soon as I arrived, I met a new friend for lunch at Quinoa, an all-gluten-free and fresh organic spot with delicious entrees and sides. She later took me for a gluten-free feast at Ciro and Sons and then to a friend’s birthday celebration at a nearby bar. Not only was this Italian crew so friendly but the birthday girl happened to make two cakes for her guests, one of which was gluten free. Really, this only happens in Italy. 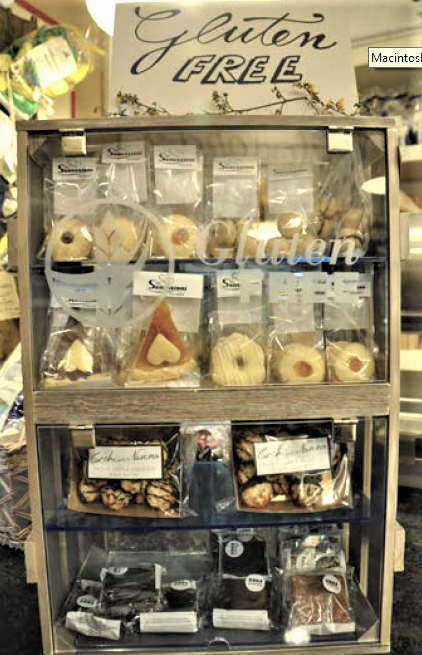 No place will welcome you more than Starbene, where they have an incredible assortment of gluten-free sweet and savory goods. The location on Via del Sansovino even has an entire gluten-free grocery store. My favorite part was the all-you-can-eat happy hour for 8 euro which includes a drink. They kept bringing out new trays of food as we sat there. I only stopped eating long enough to take countless pictures/videos and browse the grocery aisles debating how much I could fit in my suitcase home. Speaking of home, on the return flight I enjoyed some gluten-free-friendly snacks via British Airways, including in the lounge at Heathrow on my layover. Kudos to BA for even having gluten free cake. Italy is one of the most gluten-free-friendly countries in the world; diagnosed celiacs even get up to 140 euro per month to purchase gluten-free food. Make sure to take note of the farmacias and little grocery markets throughout the country because I found so many great snacks to try around every corner.